S812 Quad-core Speed. 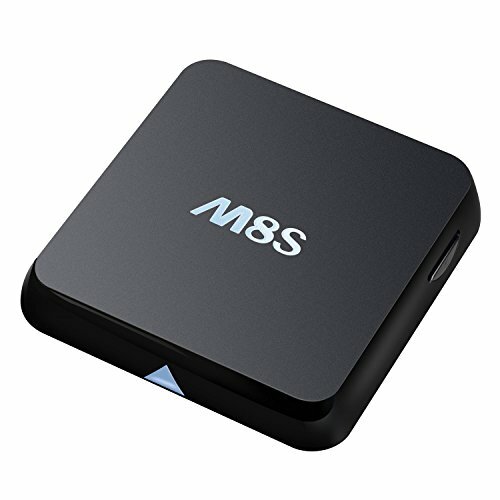 M8S TV box has quad-core CPU, Octa-core GPU. Its high machine configuration gives you ultra-fast running speed and professional image processing ability. Awesome home theater and gaming experiences. 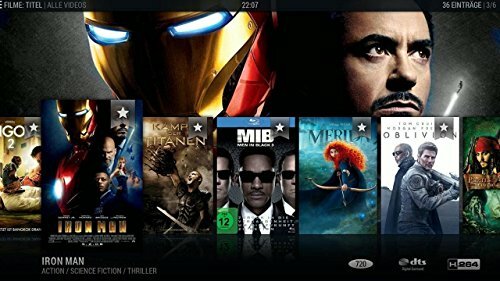 All kinds of pre-installed video software, XBMC, YouTube, Netflix, etc. 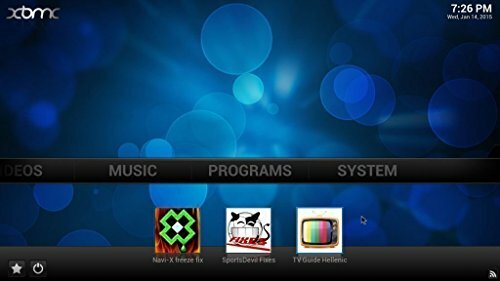 XBMC can be used to play almost all popular audio and video formats. Such as MP3, WMA, ACC, APE, FLAC audio format and MP4, AVI, DAT, FLV, RMVB, MOV, TS video format. So todays review is on the M8S Android TV Box. This machine features a very well-known CPU, the AM Logic S812 Octa-core ARM Mali-450GB, 2GB of RAM and 8GB of Flash storage. The first thing we find inside the box is the device itself, which we will take a closer look at in a minute. Also included is an HDMI cable, a power adaptor, an infra-red remote control which is a nice size and feel (no batteries included). Also in the box is a user guide, but you probably won’t need it as these devices are very easy to set up. On the front of the box is a very dim blue light, which is great as it doesn’t catch your eye if used in your bedroom like some brighter red lights might. And if you place the device on sleep mode, the device will go off. There are no ports on the front of the device, while on the right side there is a slot for a full size SD card. On the back you will find rest of the posts: 2 x USB 2.0, 1 x HDMI out, Ethernet connection, AV output, Optical output and power supply. On the top of the device you will find the M8S logo, and on the bottom you will find four rubber feet, and some air vents that will help with the cooling of the unit. The remote is infra-red, so it must be pointed directly at the device to work, and if pointed anywhere else it will not. This is not a major problem, but we would definitely recommend getting a separate wireless remote control. We have a post on the best remote controls for android boxes that can help you pick one, but they are definitely worth the small investment. The launcher on this machine is nothing new, and is on many other machines. It is a great launcher for those who are unfamiliar with this technology, as it is very intuitive and very easy to use. With no experience whatsoever you can be up and running in minutes. If you would like something else, you can easily go to the Google Play store and download a different launcher to fit your own personal tastes! The first was the Wifi speedtest (from 10 meters away), it got a download speed of two of 2MB/s and an upload speed of 8MB/s. When plugged into the Ethernet we got a download speed of 41MB/s and an upload speed of 19MB/s. As you can see from the results, this device really performs great for such a cheap Android TV box. It really is great value for money. It’s great for gaming, and we tested a number of games without any lag, and a good overall experience. The CPU really performs great when playing games, and handled every game we threw at it without any problems; zero lag or frame dropping. For video streaming and playback, XBMC is pre-installed on this machine. This device is capable of playing ANYTHING without ANY problems! The first test we ran was at 1080p and it handled it without any problems whatsoever. 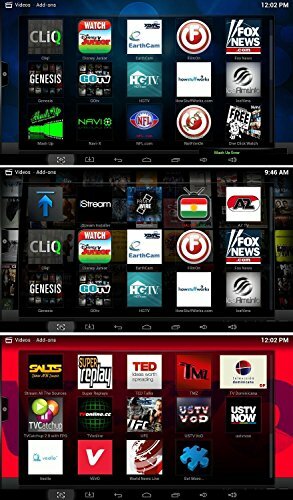 Even when fast forwarding or rewinding it is flawless, which is not the case with many other budget android boxes. When we tried it out with 4k video, gladly the experience was similar, perfect picture and no problems whatsoever. 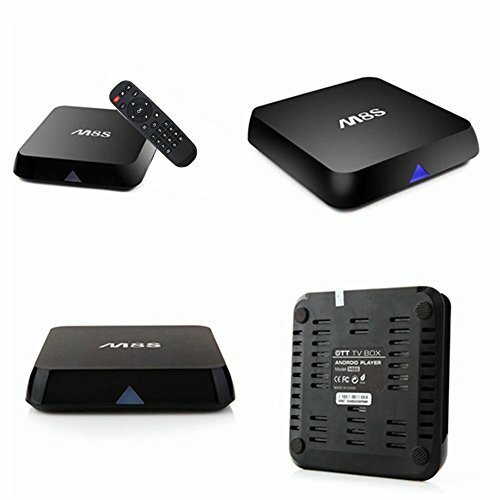 Even though these devices come pre-installed with XBMC, we always download the latest version of KODI and test it out. All in all, this device is capable for playing of any file you have on your network. Connecting my iPhone 6 to the device and mirroring my screen to the device worked with no problems. 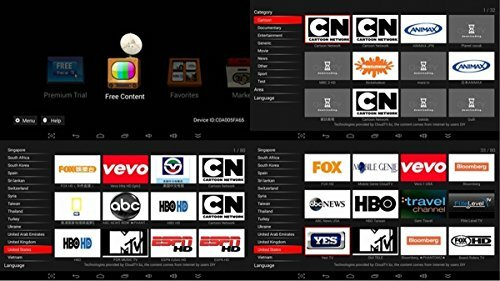 This allows you to play or show anything on your phone or iPad on your TV screen easily. The blue light is great, very dim and subtle and won’t distract your eye, particularly in your bedroom, as some other brighter red lights might. Root access: the device comes pre-rooted from the factory, which means you can install apps that otherwise you couldn’t. Otherwise you might have to root the device yourself which is risky and can be a headache. It performs great for the price. Possibly the best on the market when it comes to performance:price ratio. Wifi speedtest: 2MB/s download, 8MB/s of upload the Wifi is not great. We performed the test from 10 meters, so if you are planning to use this device wirelessly, your router would want to be closer than this, or better yet, connect it with ethernet (which we always recommend)! Great device for the money. 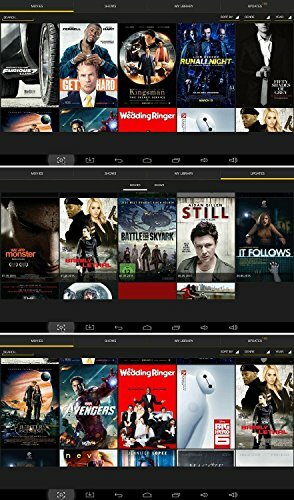 If you want a great entry level device to stream movies and photos, this is a great place to start! The newer model of this device is now available, so be sure to check out our review of the M8S Plus.